Tribal influences in an Afro-Latin way. Powerful anthems are neatly offset with the gentle rhythms along with an acoustic recording. 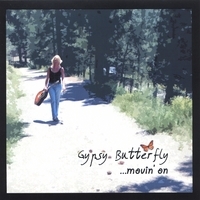 A fantastic EP from Carly Thomas (Gypsy Butterfly) that ushers in new sounds, new energy, and a new direction..
From "Fire in My Soul" to "In the Mirror", this EP rings and vibrates of passion, challenging old methods and revitalizing what exists in the now. Carly welcomes a new season with songs that'll tempt your eardrums, soothe and comfort your soul. The feel of the music is more tribal in an Afro-Latin way that carries throughout all the songs. Powerful anthems like "Fire in My Soul" and "Miracle" are neatly offset with the gentle rhythms of "Movin' On" and the acoustic recording of "In the Mirror" to top it all off.